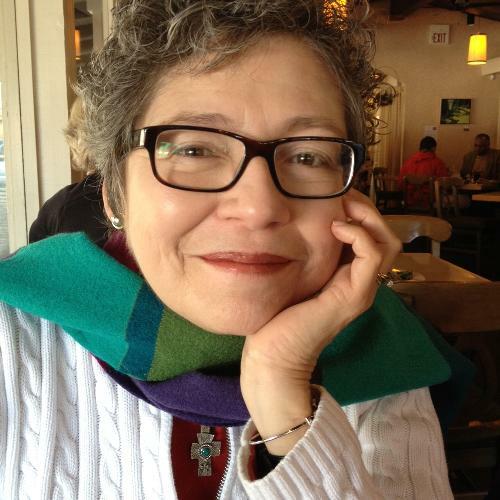 Former Associate Vice Chancellor, Admissions & Enrollment, Susanna “Susie” Castillo-Robson, 62, passed away peacefully on September 1, 2014 after courageously battling multiple myeloma for almost four years. Born in El Paso, Texas, Susie contracted polio as a baby, which limited her mobility but did not limit her pursuit of a full life and education. She graduated from high school as class valedictorian and attended Stanford University on a full scholarship. In four years at Stanford, she completed two bachelor’s degrees and a master’s degree. She also met her husband to be, Robert Robson, while in Palo Alto and the two married in 1974. That same year, Susie began her career in higher education administration at UC San Diego (UCSD) while Robert pursued his PhD in chemistry. She served in numerous positions before ending her time at UCSD as Director of Academic Advising for Fourth College. Her time at Harvard University, as assistant Registrar at the Harvard Summer School and Registrar at the Harvard Law School, was followed by a return to California and her first position at Cal when Susie was hired as General Operations Manager at the International House. Susie worked briefly as Registrar for the Stanford Law School and returned to UC as a Senior Analyst in Student Affairs and Services for the UC Office of the President (UCOP). She came back to UC Berkeley briefly, before returning to UCOP where she served as Director of Student Affairs and Services from 1989-1994. In 1994, Susie became Registrar at UC Berkeley. Many of the technological improvements and innovations now in place and underway began under her leadership. She was also passionately engaged in disability access and student privacy, issues she continued to support in her final position at Cal as Associate Vice Chancellor (AVC) of Student Affairs from 2006 to 2010. Susie and Robert had a full life together outside of the work environment, enjoying their time together with family and friends and at the theater, concerts, or traveling. After being diagnosed with multiple myeloma in 2010, Susie underwent a number of different chemotherapy regimes until her passing, remaining optimistic through each process and courageously facing each of the treatments. Last spring, the Multiple Myeloma Research Foundation (MMRF) presented Susie with their “Spirit of Hope Award” for her unlimited encouragement to others to “never give up”. Susie is survived by her husband of 40 years, Robert, her sister Blanca Harrington, two sisters-in-law (June Foster and Helen Klein), three brothers-in-law, three nephews and their two spouses, many cousins, extended family, and numerous friends. In lieu of flowers, the family requests you consider a donation to the MMRF (www.theMMRF.org), noting “Race for Research: SF-Team Susie”) or to Santa Maria Church.